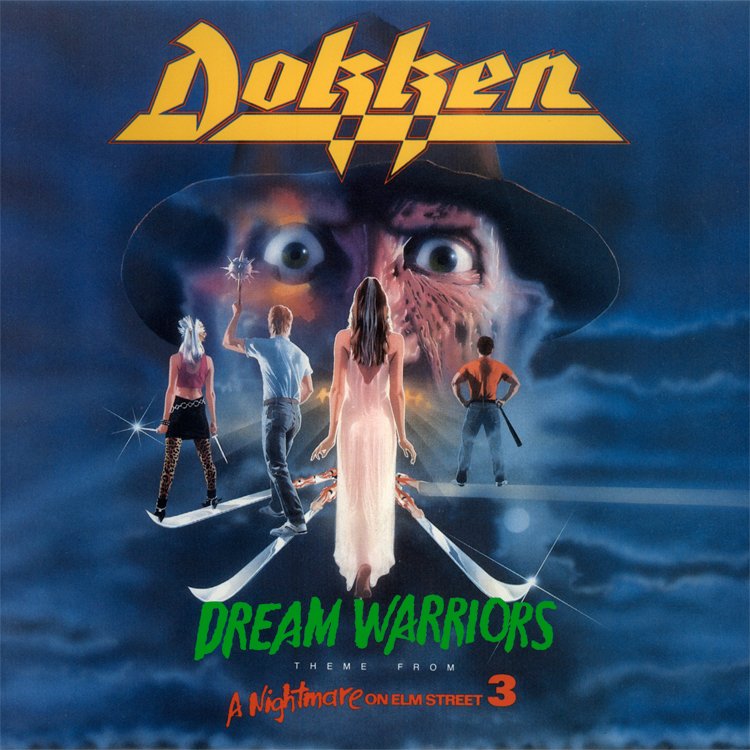 With perhaps the exception of Ray Parker Jr.’s Ghostbusters, no Title Track has as much standing as a legitimate hit than Dokken’s Dream Warriors. And why not? It was a great tune featured in a popular franchise hitting the height of its popularity, played by a popular band at the height of their popularity. Sounds like a formula for a hit to me. It isn’t so overly explicit as to put-off non-Freddy fans or become regulated only to annual Halloween airplay. By that same token, it isn’t so vague as to be completely unrelated to the action onscreen. Perfect pop balance? Marketing genius? Lucky strike? Either way, whoever’s idea it was probably got a raise. It’s also from arguably one of Freddy’s finest outting. While I’m inclined to side with original in almost every case (including the Nightmare series), many fans cite Part 3 as the best Elm Street installment, or at least their favorite. I’ll agree so far as to say this is Freddy’s best sequel, without question. I may love me some Freddy’s Revenge but I think Dream Warriors is legitimately his best numbered go-round. Cooler than 4, livelier than 5, more coherent than 2 and less stupid than 6, Dream Warriors hits the right wave of scary and goofy Freddy. He’s not quite the running joke he becomes from The Dream Master on. You see it brewing here, but he still has some shred of his former menacing self. Also, with more ambitious effects, wilder sets and more imaginative dreams sequences than the previous installments, Dream Warriors is where the Freddy becomes Freddy; not just the horror icon, but the cultural icon. And Dokken has its hand in that too, no doubt. After this, all bets are off; Late Night appearances, hit songs, window clings, his own television series, his own album – Freddymania is on. Initially, Craven (back on board after his complete absence from the completely absent Freddy’s Revenge) intended this film to wrap up the entire saga. However, New Line made way too much bank on this outing to let Freddy rest quietly in his junkyard grave and proceeded to milk every last drop out of blood from the dream demon. Interestingly enough, for this installment Craven also pitched the idea of Freddy coming out of the screen to torment the Elm Street actors in real life. New Line rejected that nonsense altogether. At least for another 6 years or so, until Craven got the go ahead to realize this plot in his true return to the series in the form of New Nightmare. While it may have been interesting to see all of that played out earlier, Dream Warriors stands up just fine in its presented form. So, come Weeners, we are bound together by our love of Halloween, Horror and Horrific Halloween Music. The Shindig is waiting for you. Listen now, cause maybe tonight you’ll be gone. Here’s Dokken’s power ballad battle cry for the children on Elm Street.